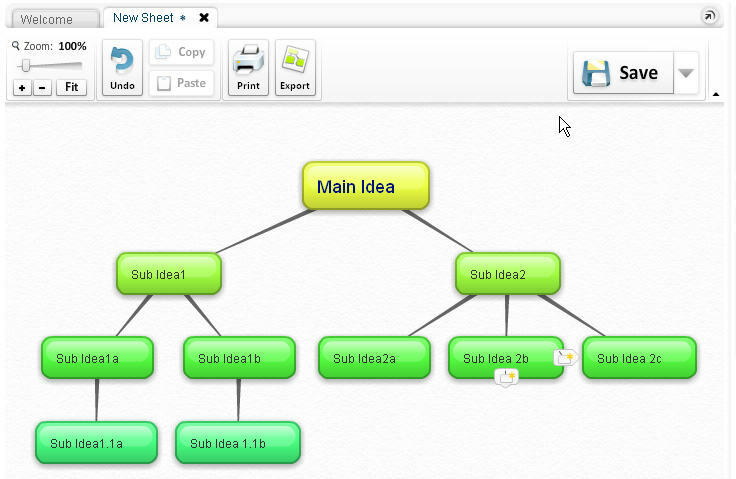 Bubbl.us is a fantasic mind mapping site that allows you to easily create and save mind maps. If you, or your students have ever used Inspiration, you’ll find bubbl.us a no-brainer. If you haven’t used Inspiration, you will still find bubbl.us intuitive and easy to create and navigate. Without an account you begin brainstorming straight away and are able to print or save your mind map as a jpeg or png. Sign up for a free account and you can save the mind map to work on later and/or have others edit it. Others exporting options will be added in the future. As with Inspiration, bubbl.us is a great, free tool for brainstorming ideas solo, or with a group. Students from primary on up will find bubbl.us easy to use. Email is not necessary to create an account so, if needed, each of your students could create accounts to save their mind maps for later use. Great for story idea generating, research indexing, or simply organizing thoughts. Thanks to LifeHacker for this great find.